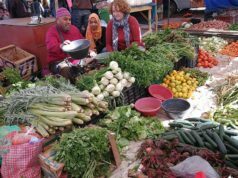 For every price range there are great places in Rabat to go for drinks, a snack, or a large meal. 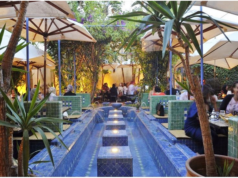 Rabat – While Rabat may not be known for its food scene, with many new restaurants opening up around the city, there is now a larger variety of cuisines and atmospheres to choose from. 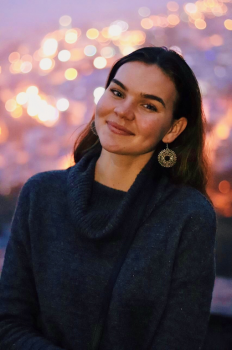 After living in Rabat for six months, I compiled a list of some of my favorite places to grab a bite in the city. 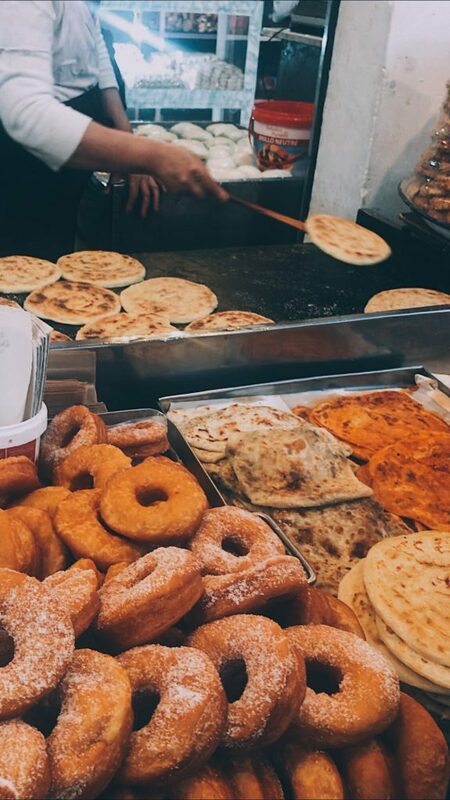 For low-priced food, the best place to go is the medina (old city). Inside the medina you can find all kinds of sandwiches, sweets, juices, and breads. Medina sandwiches often range between MAD 5 and 10 and are a delicious and quick bite. 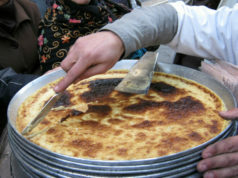 In addition, you can buy warm harcha (a pan-fried bread made from semolina), msemen (a puffed pancake), sfenj (ring of dough fried in oil), or baghrir (a spongy pancake with many holes) as a breakfast or snack, ranging between MAD 1 and 5. My favorite is harcha with amlou (a paste made of almonds, argan oil, and honey, similar to peanut butter) in the morning or an MAD 1 beignet in the afternoon. On Avenue Mohammed V, Top Batido is a great smoothie and breakfast spot. With smoothies ranging between MAD 13-30 and low-priced breakfasts, the restaurant is a great spot to start the day, meet with others, or study. The two-story eatery has excellent service, a menu with endless fruit and vegetable combinations, wifi, and a bathroom. My favorite smoothies are the avocado-coconut and the banana-cafe. In Agdal, Babel is an Iraqi restaurant that includes food options from around the Levant region. With to-go or dine-in options, the well-priced and filling food is a must. The atmosphere of the restaurant benefits from tasteful decorations and includes indoor and outdoor seating as well as bathrooms. The MAD 20 falafel sandwiches, MAD 20 lentil soup, or the MAD 55 assortment platter are must-try items. In Hassan, ByBou is a decently priced breakfast, lunch, or snack spot. The restaurant has delicious omelets as well as large banana-nutella crepes. With indoor and outdoor seating options, as well as wifi, if you are in Hassan, make sure to check it out. Recently opened on Avenue Al Abtal in Agdal, Los Burros provides the best Mexican-inspired food I have tried so far in Rabat. The small restaurant with vibrant ambience and inviting atmosphere, has many food options. With MAD 29 chicken burritos as well as a variety of salads, quesadillas, tacos, and bowls, if you have a craving for Mexican food, make sure to try it out. In Agdal, Maison Beyrouth presents a variety of Lebanese foods with beautiful decor and Lebanese music. 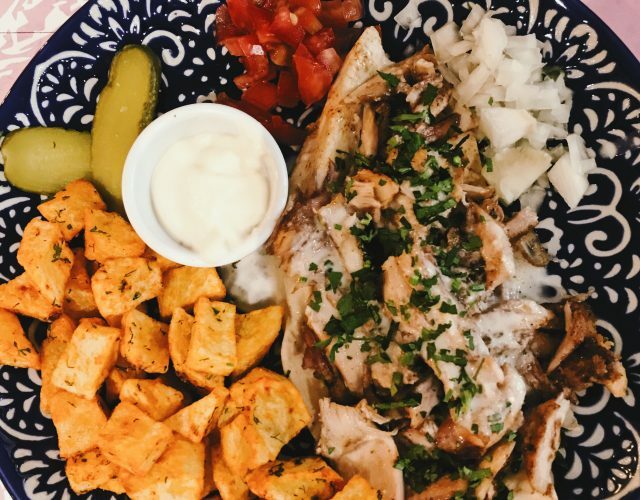 The well-priced menu offers delicious MAD 25 shawarma sandwiches; a variety of dips such as hummus, mutabbal, and muhammara; and various meat-based platters. However, what makes the restaurant stand apart are its creative desserts. A variety of MAD 35 fruits made out of white chocolate with fluffy mousse are a must-try. 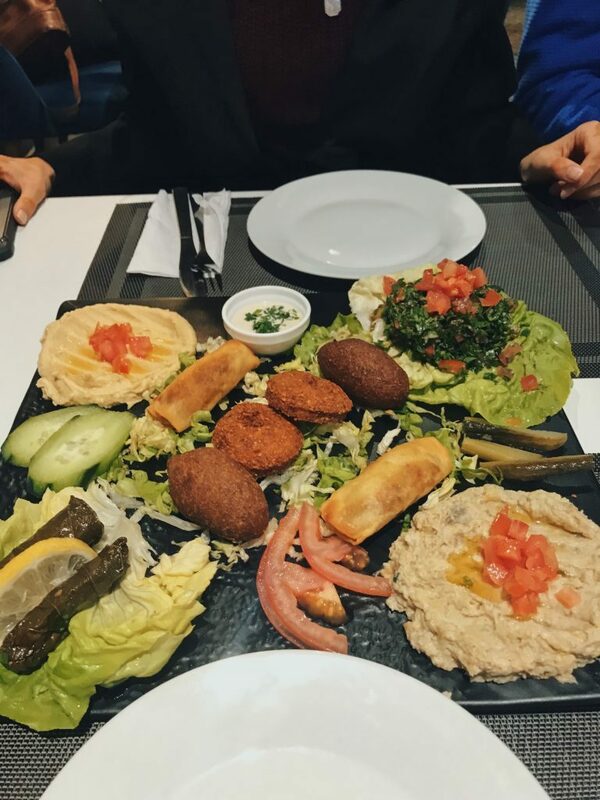 Right next to Bab El Had, Yamal Acham is well known for its delicious Syrian food. From the mint lemonade juice to the large fattoush salads to the delicious hummus with shawarma, the lively restaurant serves food that is consistently delicious and well-priced. In addition, the off-menu assortment platter is perfect if you are going in large groups. If you want to get Syrian food in Rabat, this is the place to go. Hidden on Avenue Mohammed V, Pause Gourmet offers average-priced drinks, wraps, and salads. What makes this place special is its healthy and filling salad options as well as delicious wraps for a reasonable price. 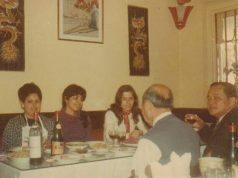 The menu has a large variety of options to choose from and the secluded nature of the small restaurant makes it easy to converse or study. In Agdal, Label Suisse is a chocolate-based cafe that serves a variety of chocolates, pastries, and drinks. Ordering one of the many varieties of hot chocolate is a must. The types of hot chocolate range from white chocolate to incredibly dark, rich chocolate. The prices are also very reasonable. On the second floor, the restaurant also serves fondues. Attached to the Mohammed VI Museum of Modern and Contemporary Art, this cafe is the perfect spot to go and study or meet with a colleague. With a clean interior, access to bathrooms, and a variety of drink and food options, the cafe is a peaceful spot to be. Coffees range from MAD 17-20, and while it is attached to the museum, there is a separate entrance to the cafe, so you do not have to pay the entrance fee. In the center of Centreville, Cafe Terminus is on the rooftop of the Onomo Hotel. While the prices for food and drinks are on the expensive side with a cafe latte priced at MAD 40, the view is worth the price. 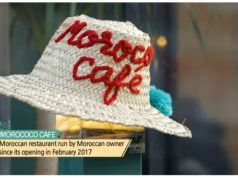 The indoor and outdoor cafe has the best view in Rabat overlooking the city with an airy and simple decor. One can also get delicious crepes or, at night, get cocktails overlooking the city. With three restaurants, near Bab el Had, in Agdal, and in Menzeh, Dar Naji serves a variety of Moroccan foods. 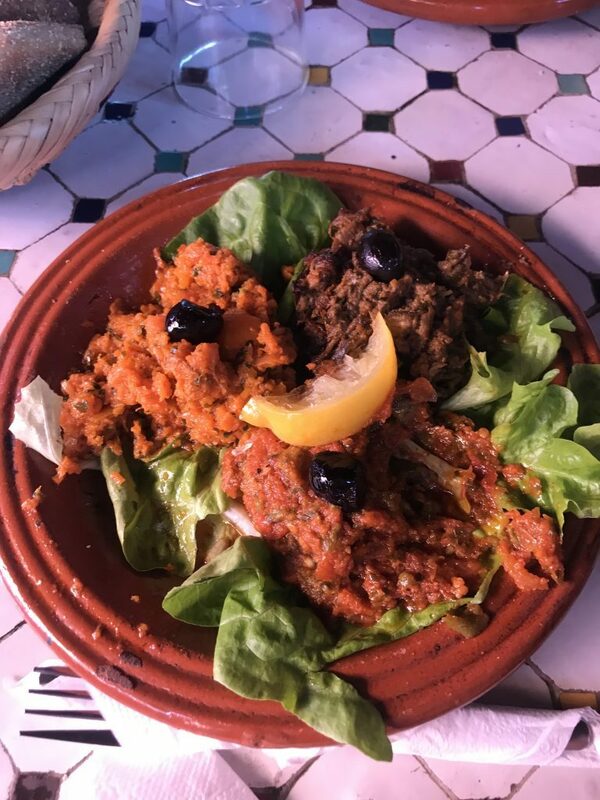 The restaurant, with beautiful Moroccan decor, caters to small and large groups with beautiful and delicious platters of rfissa (trid au poulet), couscous, bastilla, and a variety of tagines. The prices are generally reasonable as well. 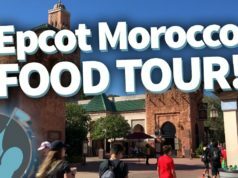 When going to the rooftop restaurant by Bab el Had, make sure to get the traditional Moroccan mint tea, which is gracefully poured from over the waiters’ heads.